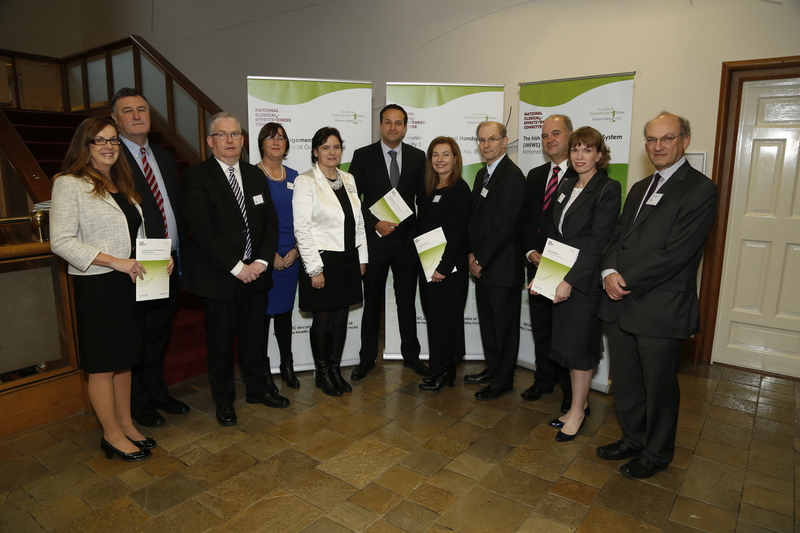 The Minister for Health, Leo Varadkar, today, (Wednesday 26th November 2014) launched three new National Clinical Guidelines. Two of the guidelines promote safety and higher standards in maternity hospitals through standardising an early warning system and clinical handover communication tools. These assist the early identification of deterioration and on-going monitoring of the woman’s condition. The third guideline specifically aims to tackle sepsis for all patients, both adults and children, in the emergency department and in hospital wards. The three guidelines were recommended by HIQA following the tragic death of Ms Savita Halappanavar. The guidelines were commissioned by the National Clinical Effectiveness Committee (NCEC) working in partnership with the HSE Clinical Programmes, expert clinicians, regulatory bodies, postgraduate training bodies, private hospitals and patients. Guidelines are statements which outline the most appropriate approaches for clinical practice. They are based on best available research and are developed using an internationally recognised process. They are then used in conjunction with clinical judgement and patient preference when making decisions about what is appropriate for each patient or population of patients. The Irish Maternity Early Warning System known as IMEWS is a standardised bedside tool developed for use in maternity care to assess basic maternal physiological parameters, and in doing so, assist in the identification of women with developing, established or deteriorating critical illness. IMEWS prompts frontline clinical staff to request a medical review at specific trigger points, using a structured communication tool while following a definitive escalation plan. The clinical handover guideline provides a structured communication tool to promote standardisation of clinical handover practice. Poor communication at clinical handover and in other situations has been identified as a contributing factor in adverse incidents where patient care is put at risk. Timely, accurate, complete and unambiguous information reduces errors and results in improved patient safety. The three guidelines form part of a suite of National Clinical Guidelines published by the Department of Health and, uniquely are mandated for implementation across the entire Irish health service. The Minister stated that ‘The guidelines published today by my Department provide recommendations and practical guidance for critical high impact clinical areas. This is why, I as Minister, am involved in order that I can ensure that guidelines of this standard are seen as a priority for full implementation across the health service. It shows what can be achieved through the alignment of the Clinical Programmes, the HSE Service Plan, monitoring by HIQA, clinical indemnity and public performance reporting. The Minister acknowledged the work of NCEC in progressing the patient safety and quality agenda and its leadership in advancing the Irish clinical effectiveness agenda under the chairmanship of Professor Hilary Humphreys. The implementation of clinical guidelines can improve health outcomes for patients, reduce variation in practice and improve the quality of clinical decisions. National Clinical Guidelines endorsed by the Minister for Health are mandated for implementation in the Irish health service and their implementation will be monitored through the HSE Performance Assurance Reports, compliance with HIQAs National Standards for Safer Better Healthcare and increased alignment with the clinical indemnity scheme. Key performance indicators to measure implementation and impact of National Clinical Guidelines have been developed. 1. The National Clinical Effectiveness Committee (NCEC) was established as part of the Patient Safety First Initiative in September 2010. The NCECs mission is to provide a framework for national endorsement of clinical guidelines and audit to optimise patient and service user care. 2. The NCEC has a remit to establish and implement processes for the prioritisation and quality assurance of clinical guidelines and clinical audit so as to recommend them to the Minister for Health to become part of a suite of National Clinical Guidelines and National Clinical Audit. 3. The NCEC, chaired by Professor Hilary Humphreys, is made up of key stakeholders including clinicians, patient representatives, the Department of Health, patient safety experts, health managers, regulatory bodies, training and education bodies, insurance and clinical indemnity agencies and private healthcare. 4. The NCEC through the processes of prioritisation and quality assurance of a clinical guideline reach consensus as to whether the clinical guideline has been developed using a quality methodology, is based on evidence and is important for the Irish Healthcare service. Clinical guidelines that meet these criteria are then recommended to the Minister for Health through the CMO for endorsement. National Clinical Guidelines are “systematically developed statements, based on a thorough evaluation of the evidence, to assist practitioner and service users’ decisions about appropriate healthcare for specific clinical circumstances across the entire clinical system”. The implementation of clinical guidelines can improve health outcomes, reduce variation in practice and improve the quality of clinical decisions. The aim of National Clinical Guidelines is to provide guidance and standards for improving the quality, safety and cost effectiveness of healthcare in Ireland. 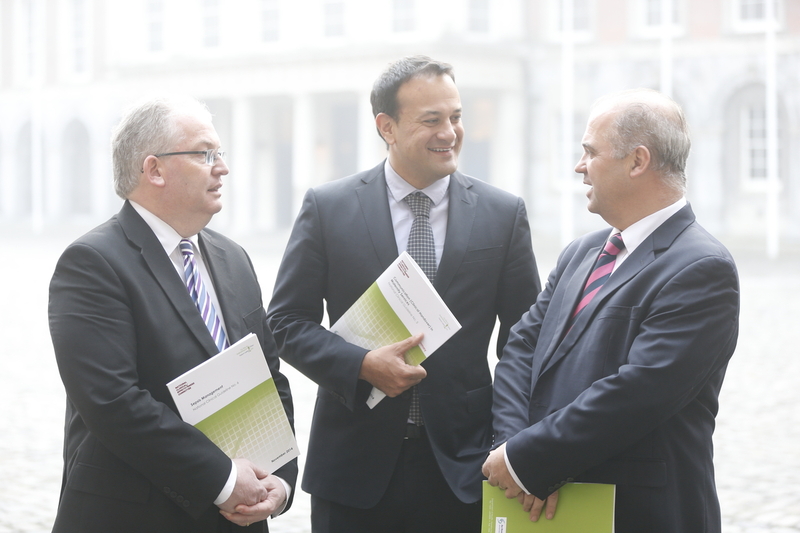 The implementation of these National Clinical Guidelines will support the provision of evidence based and consistent care across Irish healthcare services so that patients, regardless of where they are in the country or the service they attend, will experience the same high quality, safe, evidence based care. The implementation of these National Clinical Guidelines also supports services in meeting HIQA’s National Standards for Safer Better Healthcare and anticipated future licensing requirements. Sepsis, severe sepsis and septic shock are used to describe the systemic inflammatory response of patients to infection, as a continuum of progressive and life threatening severity. Sepsis is the clinical syndrome defined by the presence of both infection and a systemic inflammatory response. – Sepsis is the 10th leading cause of death worldwide and the leading cause of death in non-coronary intensive care units. – International consensus shows that there are approximately 300 cases per 100,000 population per annum. This compares with 208 cases of myocardial infarction per 100,000 per year and 223 cases of stroke. – European studies estimate that a typical episode of severe sepsis will cost a healthcare institution around €25,000. – In 2013, approximately 60% of hospital mortality had a diagnosis of sepsis or infection. 16% of all hospital deaths had a specific sepsis ICD-10-AM diagnosis code, although sepsis may not necessarily have been the underlying cause of death. – The total number of in-patients with a diagnosis of sepsis is estimated to be 8,831 accounting for 221,342 bed days in 2013. – In 2013, the mortality rate of patients with a diagnosis of sepsis who were admitted to an intensive care environment was 28.8%. – Length of stay is shown to be significantly increased with a sepsis diagnosis. While the average length of stay (ALOS) in 2013 for an in-patient is approximately 5.59 days, an in-patient with a sepsis diagnosis has an ALOS of up to 26 days, which is 5 times longer than the average, non-sepsis in-patient stay. An Irish Maternity Early Warning System (IMEWS) is a physiological track and trigger system which is a bedside tool developed for use in maternity care to assess basic maternal physiological parameters, and in doing so, assist in the identification of women with developing, established or deteriorating critical illness. IMEWS prompts frontline clinical staff to request a medical review at specific trigger points, using a structured communication tool while following a definitive escalation plan. IMEWS standardises the assessment of the severity of a patients’ illness. This enables a timelier and appropriate response by using a common language across maternity services nationally. National Clinical Guideline – Communication (Clinical Handover) maternity services Clinical Handover refers to the transfer of professional responsibility and accountability for some or all aspects of care for a patient, or group of patients, to another person or professional group on a temporary or permanent basis. This guideline describes the elements that are essential for timely, accurate, complete, unambiguous and focused communication of information in maternity hospital services in Ireland, relating to the patient’s condition, both urgent and routine.